A tribute from the band The Irish Brigade to the Irish singer songwriter Paddy McGuigan who passed away recently on St Patrick’s Day following a short illness. He is survived by his wife Cecilia, a daughter, and two grandchildren. Paddy McGuigan with the ‘Barleycorn’ along with ‘The Flying Column’ led the first cohort of Irish Republican music in the north of Ireland from the earliest days of ‘The Troubles…’. Where they led many were to follow but none were to surpass. The songs written by Paddy were an inspiration to Irish singers and groups all over the world and Paddy’s songs were, without doubt, a major influence on my own songs written for the Irish Brigade. 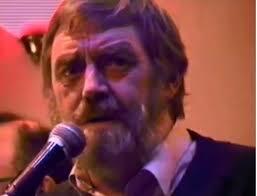 Paddy’s songs were lyrical, melodic and direct to the point. They had the power to “fill our hearts and raise our spirits”. They were greats songs which have stood the test of time and can still be heard wherever the Irish gather all over the world. The iconic ‘Men Behind the Wire’ (48 weeks in the Irish Charts, though banned by RTÉ) was a song that gave a boost to the morale of a people who, at that period in our history, felt deprived and downtrodden – a community that choose defiance rather than despair. Such songs can be seen as an accurate first hand reflection of the conditions at that time and as a commentary on social and community views throughout the troubles. Songs like ‘The Irish Solider Laddie’, ‘Freedom Walk’ and ‘Bring Them Home’ remain an essential part of any Ballad singer’s repertoire. I had the great pleasure of meeting Paddy on a few occasions in the early eighties. The most memorable was on the night before Tyrone played Kerry in the All Ireland Final in 1986. Paddy joined us on the stage for a few numbers. He sang a song he had just written for the Tyrone team and presented it for us to record to celebrate the much hoped for victory. Needless to say, sadly, neither a victory nor the song was recorded! Strange to note, I was talking to Kevin Manning from the legendary Wolfhound ballad group on Saturday the 15th of March. He joined us for a few songs in Bar32 in Luton. He spoke fondly of his memories of Paddy in the Early 70’s and how Paddy gave Wolfhound ‘The Boys of the Old Brigade’ to be their first record. Little did either of us think that just over 24 hours later, we would be hearing of his death. Paddy Joe McGuigan passed away on the 17th of March 2014, on the feast of his namesake and Patron Saint of Ireland. There is an old belief that it is Saint Patrick, himself, who judges the Irish at The Golden Gates. If this is so, they will have been opened wide and the welcome, the music and the craic will have been out of this world! Rest in peace Paddy, the legacy of your songs and music will live on forever. ‘ROLL OF HONOUR’ CAMPAIGN A MASSIVE SUCCESS! Last week (here) we reported on the campaign by Fans Against Criminalisation to get ‘The Roll Of Honour’ song by The Irish Brigade into the UK music charts. Well the campaign has now ended and it was a raging success and not only has the drive been covered by the media both at home and abroad but the single did indeed chart, showing up the state and their repressive laws! Football Match – Illegal ? Absolutely incredible. Well done and thanks to all who done their part. The Celtic support has stood up the SNP and their attempts to criminalise us. Time to axe the act. 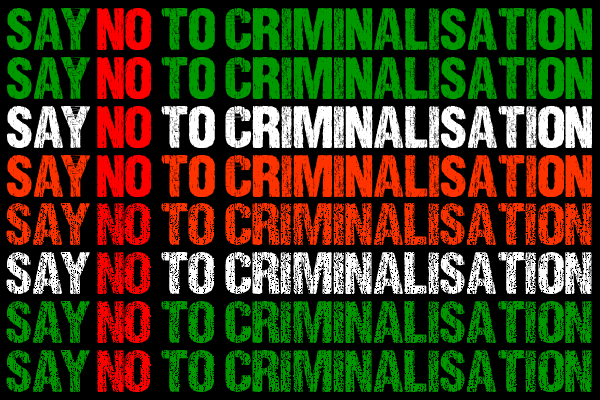 go to the Fans Against Criminalisation blog here to find out more on the campaign and what they’re up to. Fans Against Criminalisation are delighted to announce plans to release the single ‘Roll of Honour’ in association with The Irish Brigade for the duration of the week beginning on 8th of February. This single will be available for download on iTunes. We would like to thank the band for kindly allowing us to use their song to help aid our campaign against the criminalisation of football supporters and the suppression of political expression. Download the Roll of Honour any time in the week 8 -15 February inclusive and let’s get it into the UK Top 40 Singles Charts and embarrass the hypocrites who seek to criminalise us. This particular song is a ballad about civil resistance and a struggle for basic human rights and it has been a favourite of the Celtic support for over a decade. Shamefully, the SNP’s Offensive Behaviour at Football and Threatening Communications (Scotland) Act has resulted in the song becoming a target for Police Scotland and numerous arrests have been made as a result. From its outset FAC has sought to oppose this discriminatory piece of legislation and to defend the rights of football supporter’s which have been continually eroded since the Act’s introduction. We call on the Celtic family from all corners of the globe to support this campaign by downloading the single to help raise funds to aid the legal costs of those whose lives are being torn apart by this disgracefully illiberal law and to help further publicise the hypocrisy inherent within the government’s position. The Irish Brigade from Co. Tyrone tell in song, story and poems the epic struggle for Irish independence. They have been playing music since the early 1980’s. The first album they had out was the Roll Of Honour, which was in memory on the 10 men who died on hunger strike in 1981. Since then they have recorded over 10 albums such as Rising Of The Moon, Our Day Will Come, Pardon Me For Smiling, and The first live album was in the Sidewalk Music Café in Dublin in 2003. They play gigs all over Ireland from Kerry up to Donegal, from Tyrone to Wexford, and from Dublin up to Belfast.